Smart Communications new All-in Plan combines the features of their Consumable, Unlimited and Data Plans. Is there any reason to consider the Data plans even if you plan to get one for data use? After all, you can now bundle in Unlimited data with the All-in plan. All-in Plans. With the All-in Plans you can select a monthly plan, from P500 to P3500 and use it as a consumable plan paying for each service that you utilize or subscribed to the unlimited voice or text, or data services. Each month you can reconfigure the services you subscribe too. This is similar to Globe My Super Plans. 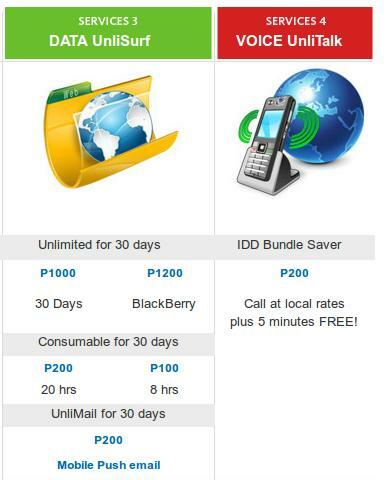 The main difference is that with Globe you add-on to a plan, and the add-on are not considered in the free bundled phone. With Smart you use your existing plan to buy the add-ons. Basically, this means for the same amount of money every month, Smart Communications will provide you a better phone. Is this plan better than Smart's Consumable and Data plans. No, there is a bit of a catch. It suffers the same "weakness" as Globe My Super Plans: Off network calls are more expensive. All-in v. Data Plans. With a data plan you get unlimited data and a allocated amount of calls and texts to all networks. 150 minutes of calls to all networks. Calls over 60 minutes at Php5.09 for Smart-to-Smart Calls and Php6.11 for calls to other networks. 200 SMS to all networks. 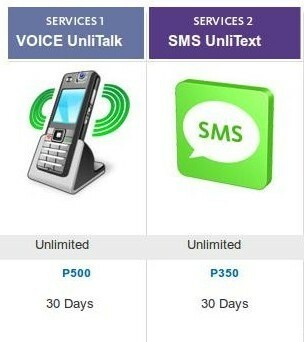 SMS over 200 a Php0.51 per SMS. As you move on the the higher plans you get more bundled minutes and SMS, and the rates for minutes above the "free" minutes goes down with the higher plans. With the All-in plans, calls to other networks are charged at Php7.50 per minute regardless of the plan you get. If you make a lot of calls outside the Smart network, to Globe or Sun users, you would probably be better off with a Data plan. Well, at least at a usage of about Php2,000 a month. 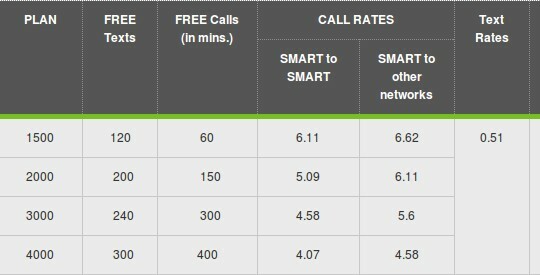 If most of your calls are within the Smart network, you are probably better off with an All-in plan, especially since you can bundle unlimited Smart-to-Smart calls for Php500 per month.